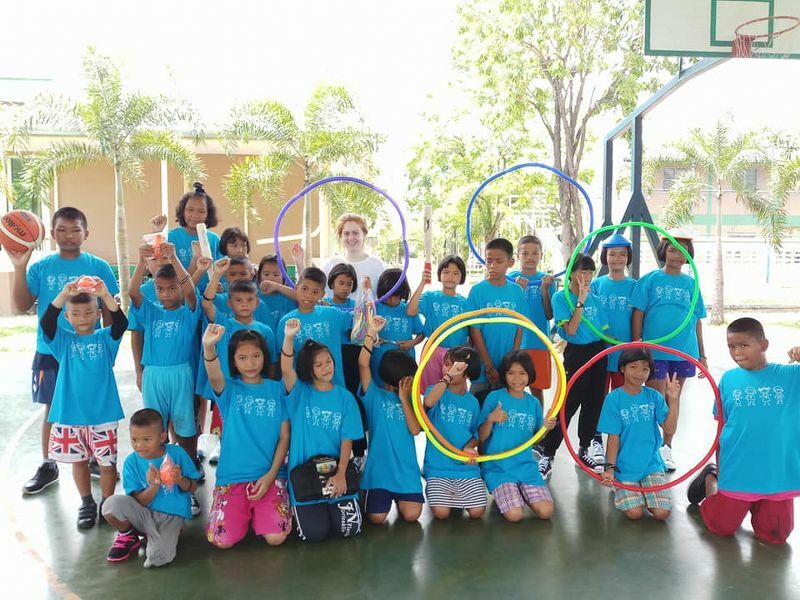 Anna-Louise Hannah is currently in the outskirts of Pattaya, Thailand, where she has taken some sports equipment and clothing for the orphanage children of the city. 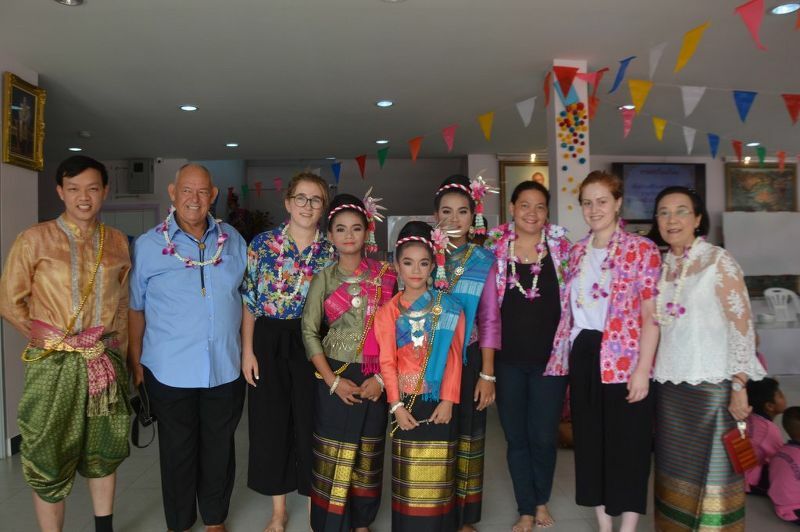 They are children that have previously lived on the streets and are now safely in care. 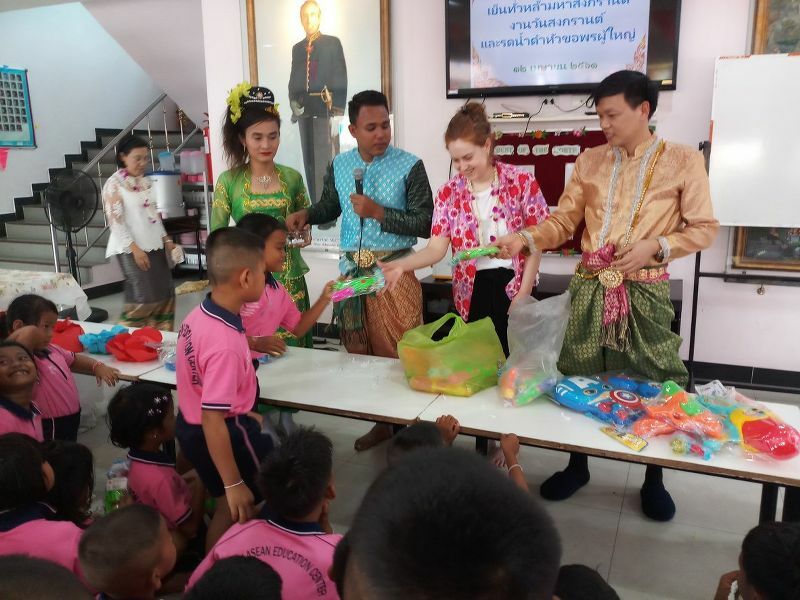 They are obviously very vulnerable and extremely grateful for all the gifts that we sent over. 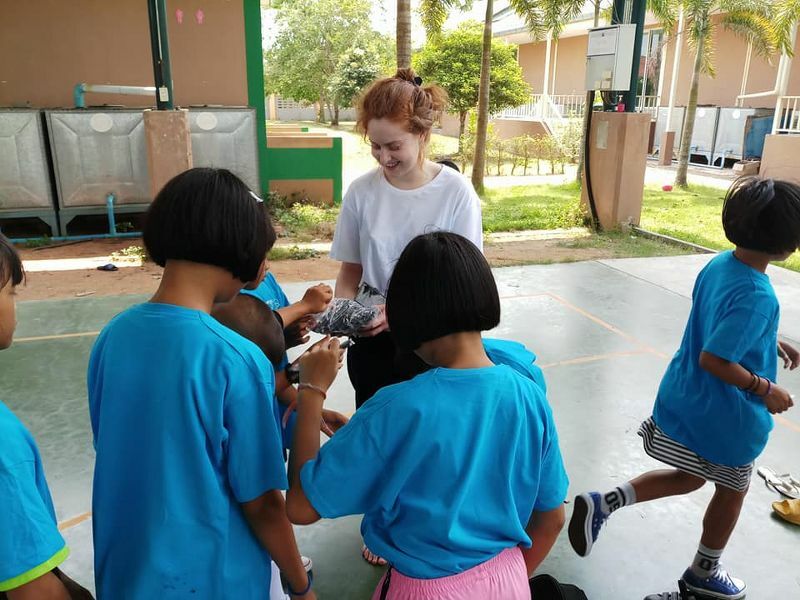 Anna-Louise is helping them to learn English and then to just play with them using all the equipment that she took over with her, from hoops and balls, to rounders bats and bean bags. We also sent across a set of T shirts for them to wear and as many shoes as we could fit into the bags.